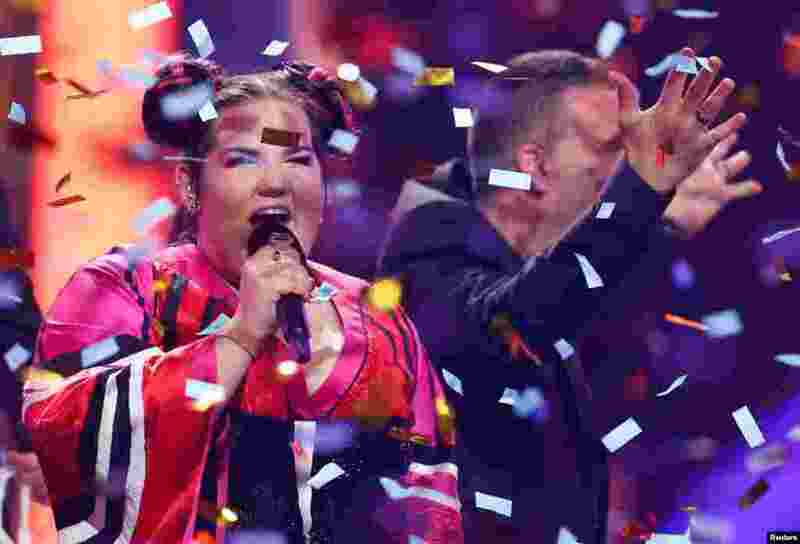 1 Israel's Netta performs after winning the Grand Final of Eurovision Song Contest 2018 at the Altice Arena hall in Lisbon, Portugal, May 12, 2018. 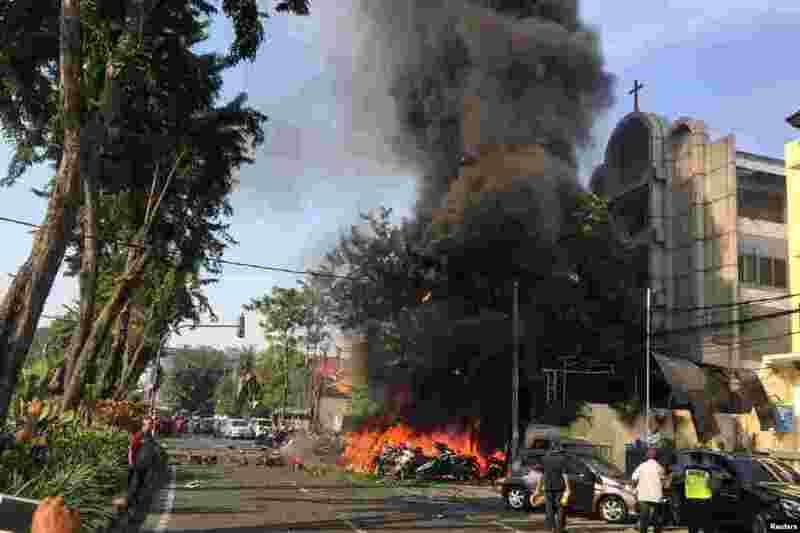 2 Motorcycles burn following a blast at the Pentecost Church Central Surabaya (GPPS), in Surabaya, East Java, Indonesia, in this photo provided by Antara Foto. 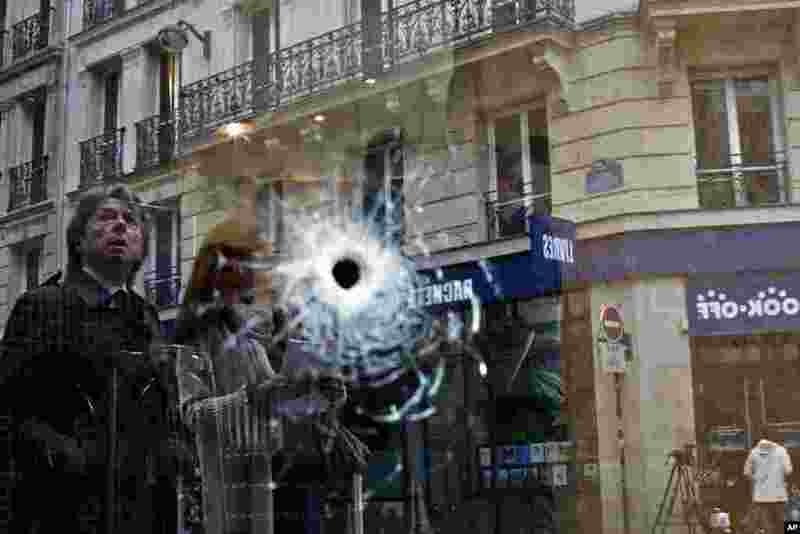 3 A bullet hole is seen on the window of a cafe located near the area where the assailant of a knife attack was shot dead by police officers in central Paris, France. 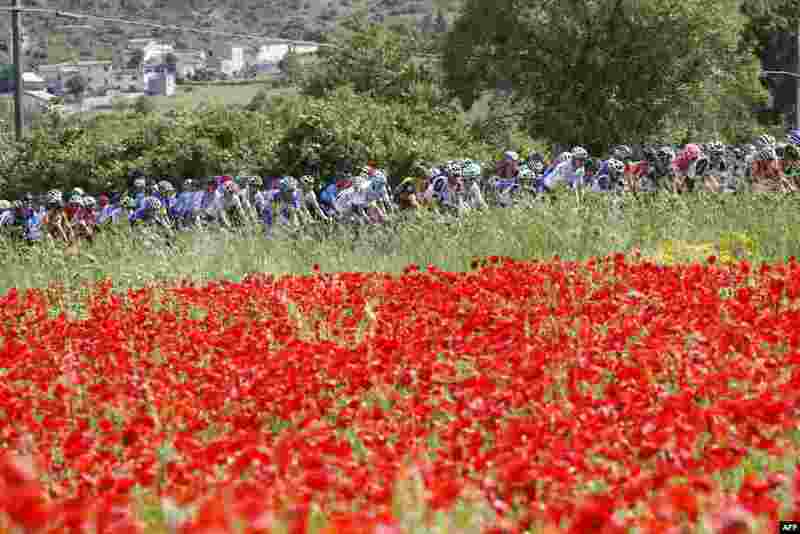 4 The pack rides past a field of poppies during the 9th stage between Pesco Sannita and the Gran Sasso during the 101st Giro d'Italia, Tour of Italy cycling race.